We have been studying the effect of hydroclimatic variation in coastal fishes for the past 10 years. 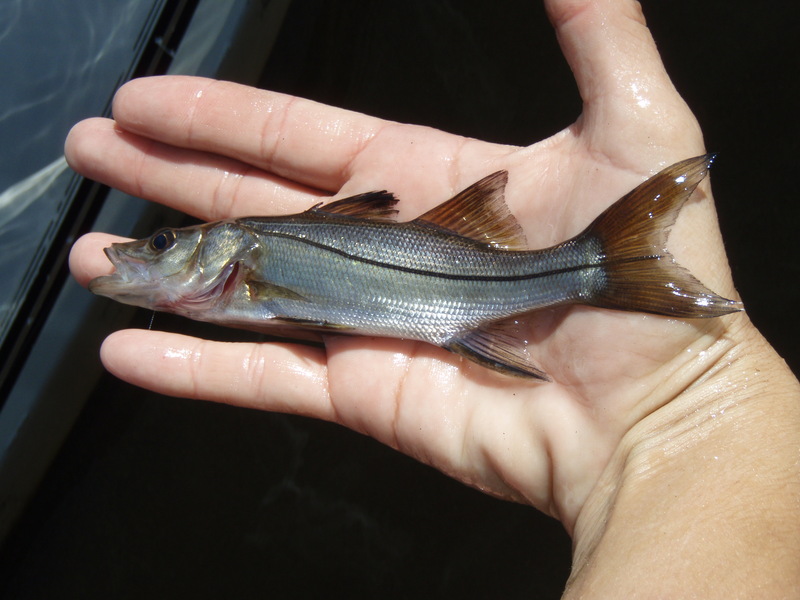 Recently, we have expanded this research to also examine the effects of this variation on recreational fisheries, namely common snook and Florida largemouth bass. 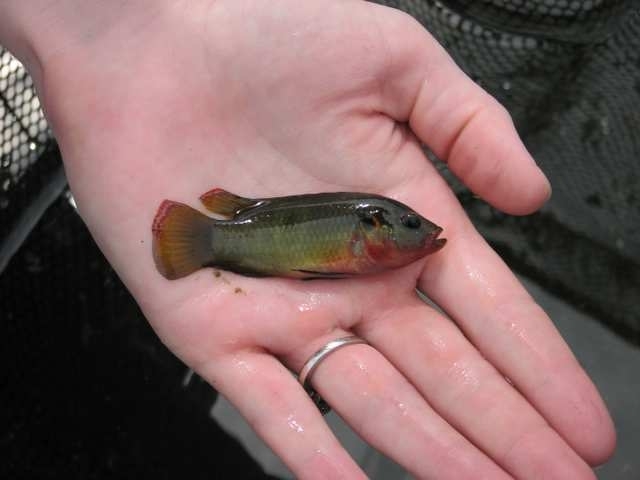 The big question of this long-term research effort is to better understand how current water management affects coastal fishes, and thus be able to predict how fishes will respond to the balance of climate change and restoration. This research effort is comprehensive since we examine many aspects of the ecology of coastal fishes: their abundance and distribution, their movement and habitat use, and their diets, body condition and thus trophic linkages between marshes and mangrove habitats, and survival patterns. We studied the responses of these fish metrics to seasonal, yearly and extreme variation (2010 cold snap, 2011 drought) in both climate and freshwater inflows. 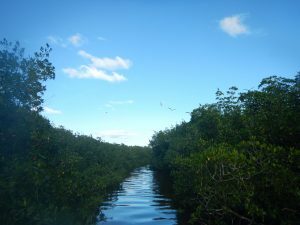 This research is centered on the upper Shark River in Everglades National Park, which is a focal study area of the FCE LTER program. 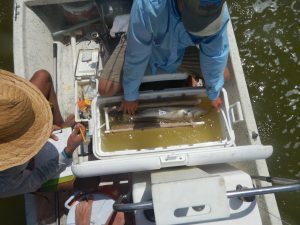 In this system, upstream seasonal marsh drying results in a flux of prey and predators to mangrove reaches that quadruples fish abundance, subsidizes key recreational fisheries such as snook and creates recreational fishing opportunities. 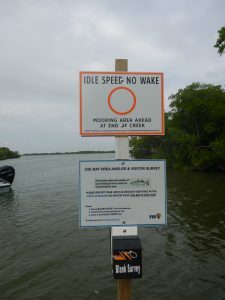 A major portion of the coastal embayments in northeastern Florida Bay have been closed to public access, and thus to recreational fishing since the creation of a crocodile sanctuary in 1980, but the Everglades National Park General Management Plan has recently called for the opening of a section of Florida Bay to public, non-motorized access and catch and release fishing. Until now, Joe Bay and Snag Bay were closed to any type of fishing, but these bays have been opened to the entry of human-powered watercraft (eg. kayaks, canoes, SUP’s, polling vessels). We are investigating the baseline fish and recreational fishing conditions of the region, and assessing how this area may change as a result of opening it to fishing, albeit catch and release. A second embayment near Joe Bay that has been closed during the same period will remained closed to any fishing or recreational activity, thus we have a rare research opportunity to use these areas as the treatments in a ‘natural experiment’. Because this area is a national park, we are employing a new state-of-the-art non-invasive technique using baited underwater remote video stations (BRUVS) to conduct the fishing independent sampling. We have also developed a fisheries dependent survey and reporting system for tracking the effect of opening of the region on fishing activity and visitor experiences over time. We are partnering with local anglers and guides, the Everglades National Park, the Snook and Gamefish Foundation and a web/app developer to track the effect of opening of the region via paper and online angler surveys, and a smart phone app reporting system. Together, this information will be used to track fishing pressure, angler catches, fish metrics (fish abundance and diversity, catch composition, fish size), angler preferences, as well overall visitor experience, motivations and preferences. 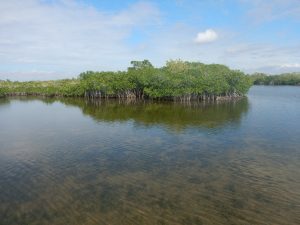 The Freshwater inputs to the coastal Everglades have been drastically altered from historical standards and as one can imagine, this has caused a great deal of change to the coastal ecosystems. 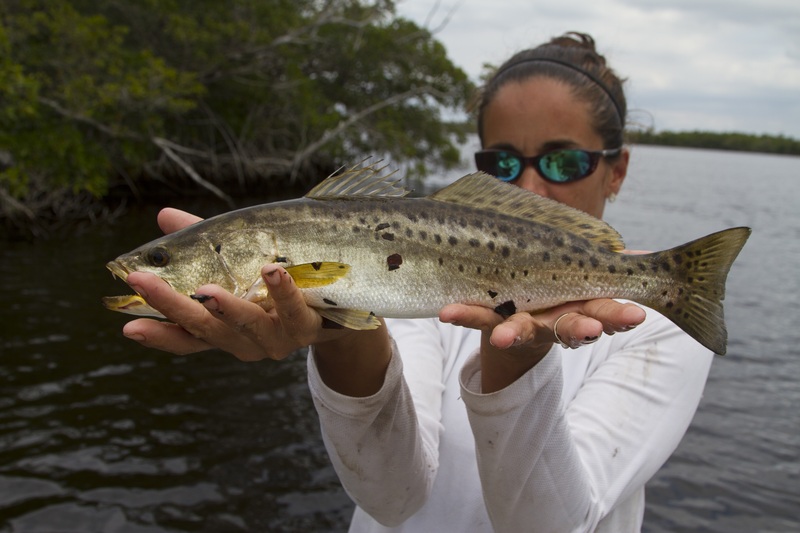 The coastal Everglades lakes project, located in North-Central Florida Bay, seeks to understand how recreationally important sport fish use two embayments which differ in freshwater input and productivity levels. These two embayments receive over 50% less freshwater input than they did historically and at times become hypersaline. 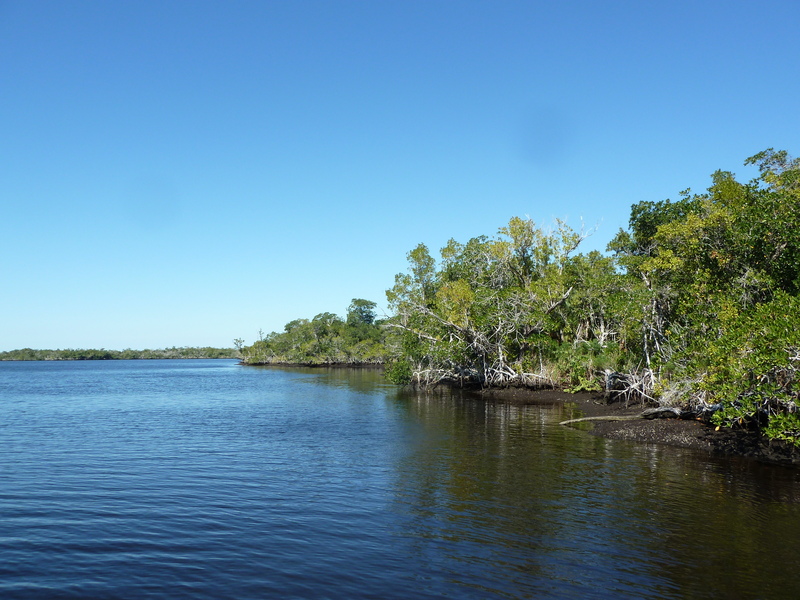 Their currently altered states make the Alligator Creek and McCormick Creek subestuaries ideal research platforms in determining how restoration efforts to return clean, freshwater to the coastal Everglades will impact the recreational fish communities in the region. By tracking the movements of recreational sport fish via acoustic telemetry, we hope to see differences in habitat use between the two distinct bodies of water leading to better management practices. 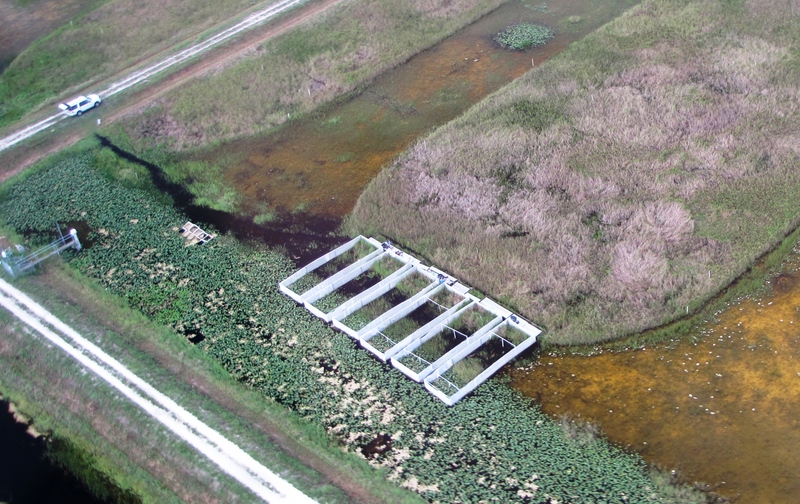 Linkages among hydrological variation, prey dynamics and wading bird foraging and nesting success remain poorly understood, yet are critical to Everglades restoration and water management. A key unknown is how does hydrological variation affect fish distribution and habitat selection across the landscape, influencing prey concentrations and their vulnerability to wading birds. We used field enclosures in combination with passive detection systems to manipulate hydrological variation and examine its effects on fish movement and distribution. Our approach allows us to examine fine-scale responses by fish to real-time natural and experimental variation in water levels. 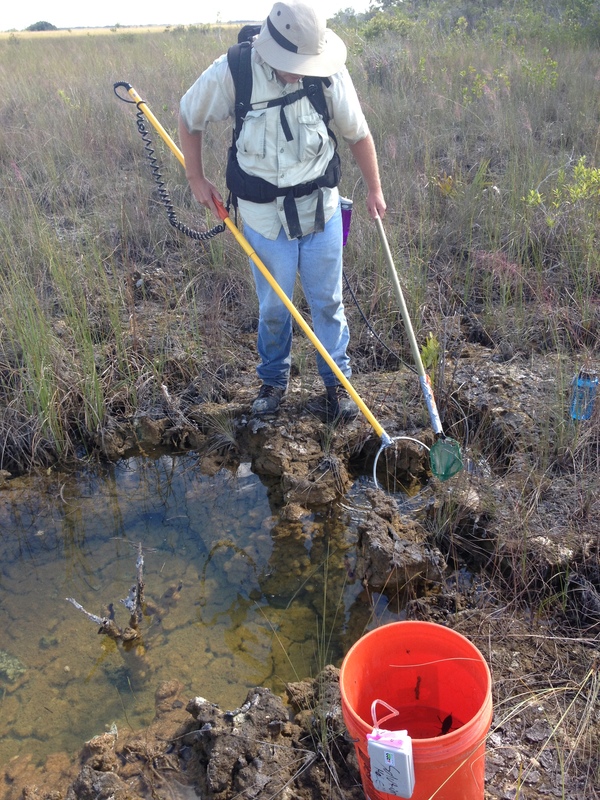 This study is being conducted at LILA (Loxahatchee impoundment for Landscape Assessment), a model of the Everglades ecosystem. LILA provides an empirical setting where process and mechanistic questions about Everglades ecological patterns and restoration effects can be tested in accessible, controlled, natural, standardized and replicated Everglades marsh environments. We have build a stakeholder science program, CAST (Coastal Angler Science Team) whose purpose is to engage anglers into fisheries research. Our work with anglers is twofold. 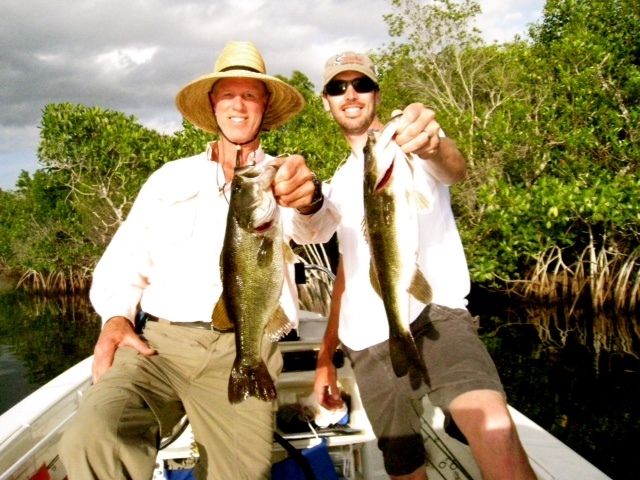 First, we have tapped into angler knowledge (see project Bay Bones below as well) and their records of catches to examine how their fishing relates to freshwater management and better understand the potential effects of Everglades restoration on recreational angling. 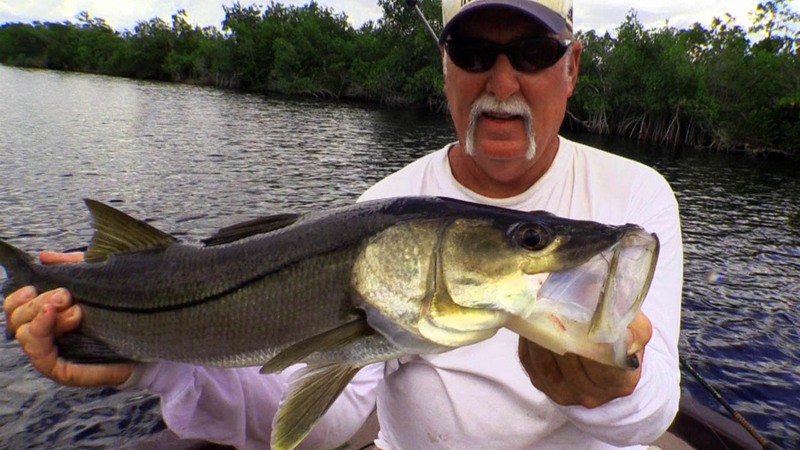 For instance, wee have worked with anglers to understand how their 20+ years of common snook and Florida largemouth bass catches are affected by freshwater flows to the coast. Second, CAST has been working with anglers to assist in a mark-recapture study of largemouth bass in order to estimate their survival across years of varying of drying severity. Anglers were equipped with pit tag readers, datasheets and maps and asked to scan their catch. In 2014, we organized a 6-month mark-recapture tournament, and anglers were responsible for 30% of the recaptures that fed our survival model. The karst ephemeral marshes of the Rocky Glades, in Everglades National Park, are highly invaded and hydrologically disturbed wetlands which presumably once served as key feeding grounds for Everglades wading birds. 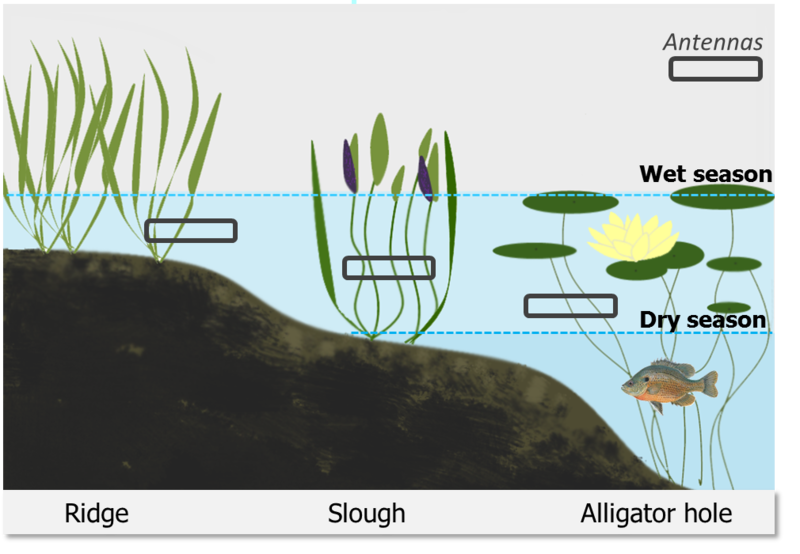 Under current hydrology, fishes utilize this flooded habitat in the wet season and are forced to seek long hydroperiod refuges, such as solution holes, during the unnaturally long and severe dry season. Our work in this area is focused on four main themes: 1) the impact non-natives have on the system, 2) how impact by nonnative fishes is mediated by physiological stress, 3) variation in personalities or behavioral types among native and nonnative fishes and 4) the influences of these nonnative fishes on metacommunity assembly in solution holes in the Rocky Glades. We address these questions through a variety of techniques, such as annual depletion electrofishing of solution hole fish communities, direct measurement of blood-borne cortisol of captured fish as well as several in house experiments and mesocosms. Recently, our attentions have focused on the impact of the non-native African Jewelfish (Hemichromis letourneuxi) and their impacts on both the assembly process, how do they effect settlement decisions, the implications of their presence on the stress levels of native species, and the outcome of competition between this invader and a common native mesoconsumer (Dollar sunfish Lepomis marginatus). We hypothesize that this recent invader, reaching the Rocky Glades in 2002/2003, has negative impacts at the individual level on native fishes, on their relative abundance in the system, and on regional scale community processes. In the past few decades, recreational angler catches of bonefish (Albula vulpes) have decreased significantly throughout Florida Bay & the Upper Keys. The mechanisms driving these declines are unknown. 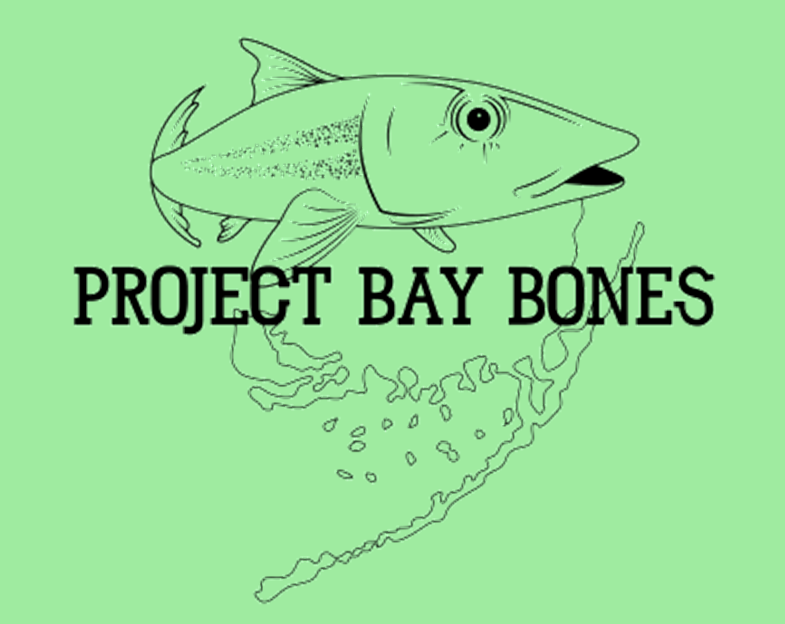 Project Bay Bones is a multidisciplinary effort designed to understand the decline of bonefish in Florida Bay using an integrative, retrospective analysis of spatiotemporal trends in bonefish numbers and the key driving factors, in combination with an angler-based citizen science program. We are using a series of time-series and GIS-based spatiotemporal in a retrospective effort to assess bonefish angler catches and effort in concert with Florida Bay water quality, climate factors, seagrass cover, prey dynamics in order to better understand the observed bonefish decline in Florida Bay. 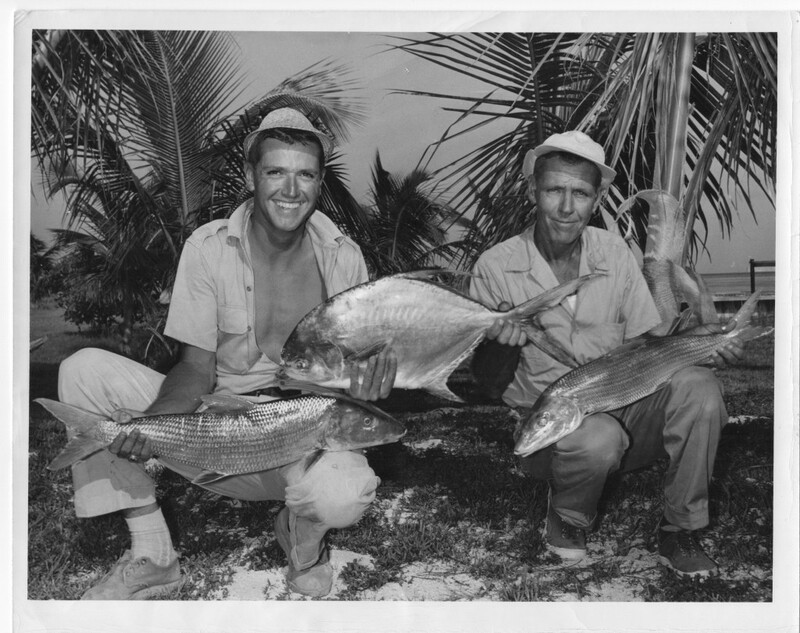 We are using angler knowledge to reconstruct the history of bonefishing in Florida Bay, the Florida Keys and Biscayne Bay. Through semi-structured and key informant surveys, we are gaining our understanding of how bonefishing has changed over past 40 years across these regions. In addition, Project Bay Bones is integrating a comprehensive review and assessment of the available quantitative information on pollutants in South Florida, which could be a potential hazard to bonefish populations. Chemical pollutants in coastal environments have damaged other fisheries around the world, and some urban and agricultural canal discharges in South Florida have high concentrations of organic chemicals and nutrients. Contaminant can have both direct lethal and sublethal effects on fish as well as indirect effects through deleterious changes to ecological conditions. We are investigating whether chemical contaminants are a potential driver of changes in bonefish catches. 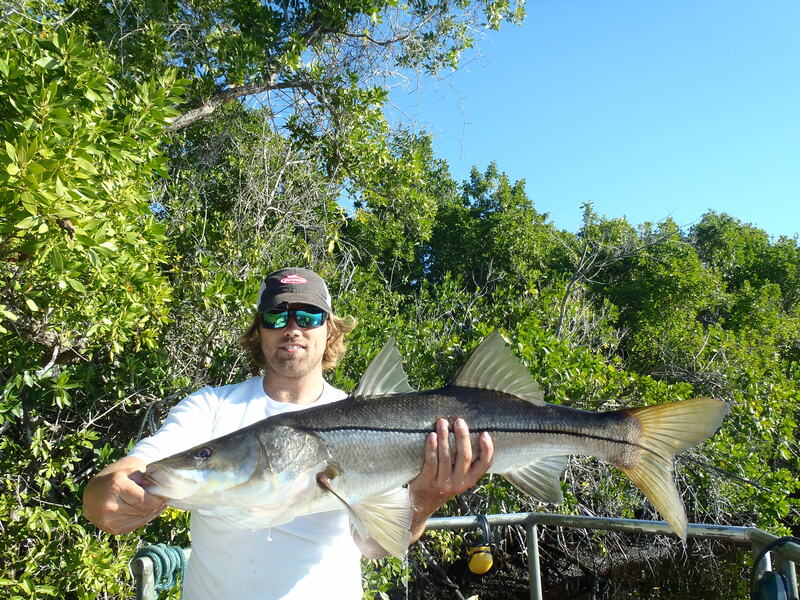 The Snook Tracking Project aims are to understand how the ecology of snook are influenced by climate variation in South Florida. We examine variation that ranges from seasonal to yearly, to decadal and extreme climate events. Currently, we are investigating how climate patterns such as rainfall affect the movement ecology and reproductive biology of snook. The ove aching goal of this project is to both provide key biological information to state resource managers about snook in Everglades National Park, and also enhance our ability to predict the quality of recreational fishing. We plan to test our ability to predict good and bad fishing years-valuable information for fishing guides and the tourism industry in general. 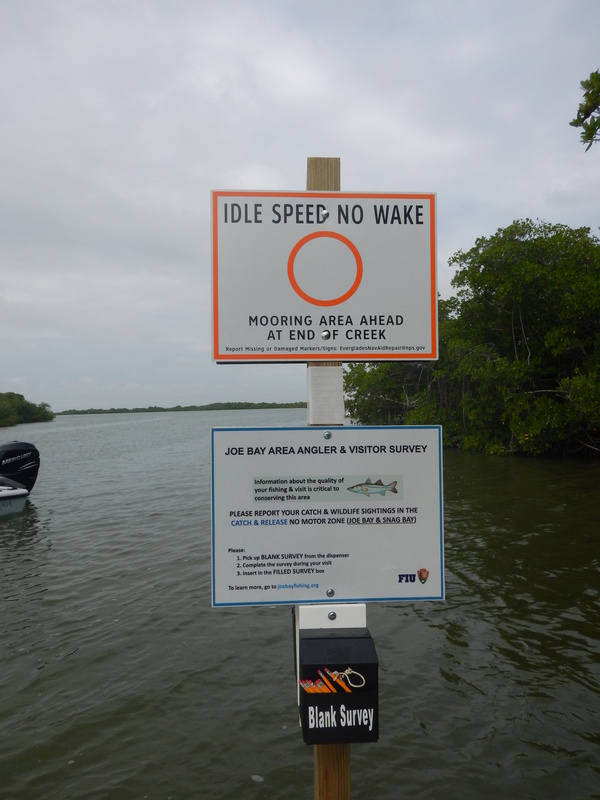 We hope our work not only improves the sustainability of the snook fishery within the Everglades, but also increases economic resiliency of professionals that rely on the snook fishery.